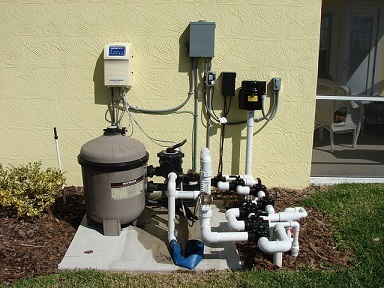 If you depend on private water well for your domestic needs, you will need to be aware of the systems operation to make sure that you have adequate and good quality water. Regular well inspection is essential to resolve any issues that arise with the well system. If you are experiencing problems with your water system, you need to look for signs that the submersible well pump may be failing. You also need to look for any other issues that may be causing trouble and remember that you should always consult a professional well water system company. An obvious sign that your well system has a problem is when there is no water coming from your taps. If you turn on the faucet and you have no water coming out, it is safe to conclude that you have a problem. Several factors can lead to this and they include a problem with the submersible pump. If the pump is not working effectively, you cannot access the water because it has no way of getting out of the well. A new water pump can help to solve the problem. It is, however, important to note that lack of water can also be due to issues such as a clogged line, a broken pipe or a blown pump house fuse. Make sure that you check the most obvious or the easiest problems first before you decide that it is the submersible pump. If you have a clogged pump, you might not need to replace it. The clogging will interfere with the process, but cleaning it will solve the problem. If when you turn on the faucet you have water but it comes with low pressure, you need to consider that your submersible pump is not working effectively. When a pump is not running or working at full capacity it can cause water pressure problems because insufficient water is being pumped. You need to invest in a new pump that will function at optimum level. Before removing the pump, it is a good idea to check for other issues that can be responsible for the same symptom. A common cause of pressure problem is a faulty pressure tank. This equipment helps to keep the pressure constant using an air-filled bladder. It is usually placed in the well house and if it does not work properly, the pressure will drop. You also need to look for leaks in the water pipes or pressure tank. If everything is fine above ground, the submersible pump is the most likely culprit. Another sign that you have a problem is if the pump runs constantly. This is a good sign that the equipment is encountering some serious problems and it can go out at any time. If the submersible pump continues to run without stopping, you could have a bad sensor or shutoff switch. It can also mean that the pump is struggling to get water up to the surface. If you are experiencing problems or if you have concerns about your well pump, you need to consider getting professional help. Talk to a reputable service provider about a well pump replacement service available and let them guide you on what’s best for your well water system.